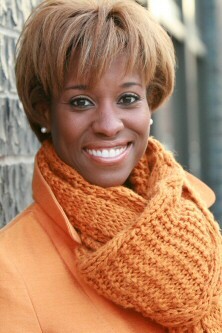 Sisterhood, the Blog celebrates green living/digital diva shero Bianca Alexander! Today, we are celebrating Bianca Alexander, Esq., a healthy living advocate who serves as co-CEO and host of Conscious Living TV, a green living news magazine show. Bianca also hosts The Soul of Green, a TV program that features untold stories about people of color in the green and environmental justice movements. In addition, she is a broadcast journalism fellow of University of Southern California’s Annenberg School of Communications and an ethnic media fellow of the Association of Health Journalists. Guess what? Bianca is also a yoga teacher and Reiki Master practitioner. For more information, visit www.biancaalexander.com.